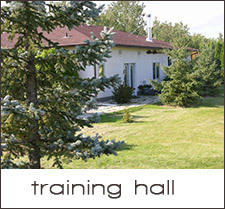 The Gold Lead School for Dogs is located on twenty spacious, treed acres 15 minutes northeast of Winnipeg in Cooks Creek, Manitoba. 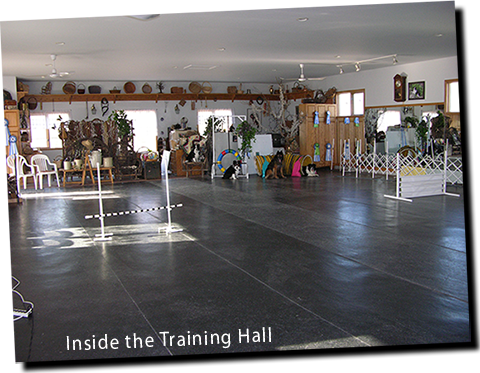 The top 3 acres around the house and training hall are fenced in, allowing for a balanced approach to training as many of the classes may be held outdoors, weather permitting. Sharon trains all the dogs herself and has a wide variety of experience with many different breeds and temperaments of dogs. 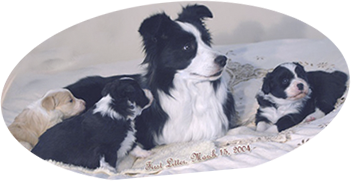 She gained national recognition with Kayla, who was the top flat- coated retriever in Canada for three years and twice achieved "Top Obedience Dog in Canada" with Tess, her tricolor Border Collie. 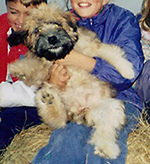 A trainer since 1984, Sharon has an uncanny knack for understanding and relating to dogs. 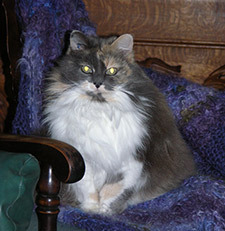 She has also been responsible for successfully helping many people with their canine behavioural concerns. The Gold Lead offers an assortment of classes for your dog. Both private and group classes are available. You may book private lessons to work individually with Sharon or you may participate with a small number of dogs and owners, in group classes. stay, heel and much more. -time allocated in each class for problem solving and individual concerns. -in AMBOUR and UKC trials with Crossbred dogs. The goal is to teach the dog to behave not only at home but also to behave reliably in very distracting, public areas. - behaving politely around other dogs. This course is of particular interest to those people who wish to use their dogs for pet therapy, agility or competition obedience. In this class basic obedience is a prerequisite. General obedience, particulalry the stays, are reinforced. 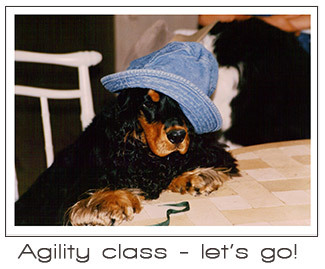 Builds on the previous class to include the dog walk, a-frame, teeter-totter, sequences and handler turns. 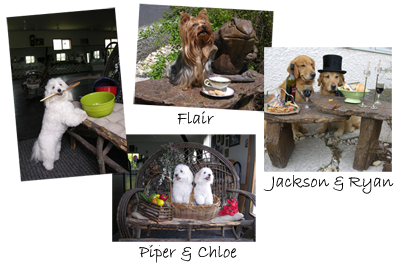 Provides for an enthusiastic fun-filled experience for both dogs and handlers. Consists of over 40 obedience moves. Signs followed logically provide a sequence for the course. Requires a brisk pace and a positive attitude. A challenge that improves heeling and teamwork. This class is for both the young and the young at heart. It actually requires only Basic (Adult) household obedience as a prerequisite. 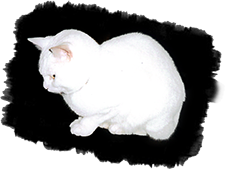 touch and tap, waving, as well as, hold and carry and many other interesting moves. Meet "Silly Tilly" and "Bilo", the training hall cats- who are occasionally seconded, under protest of course, to teach recalcitrant rovers the finer aspects of FELINE etiquette. Each Training Session consists of 6 Classes. Classes start approximately every 2 months and are one hour in length. 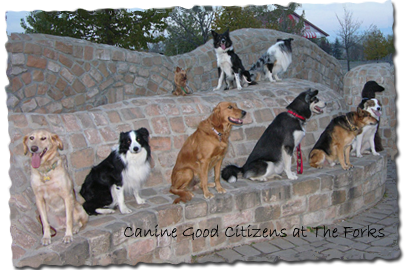 * In the summer, Agility & Canine Good Citizen classes are offered. * Individuals requiring assistance with specific Behavior Problems may wish to consider a private lesson. These lessons are generally held during the day, as time permits. ** You may contact the Gold Lead directly for specific start dates of classes. *** Please complete a registration form & bring it with you to your first class. 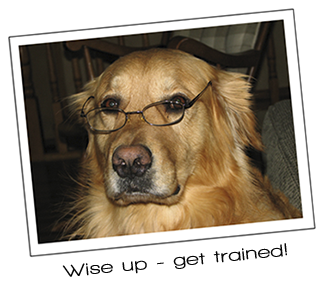 Some years ago, the training school was aptly named "The Witz End" by one of Sharon's students, who playfully noted that people frequently sought her advice when they were at their wits end!